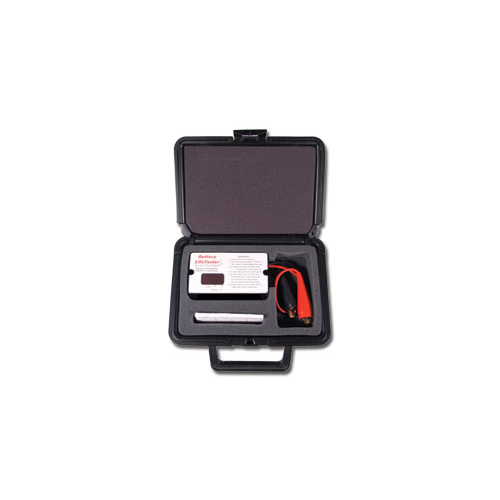 The Elk BLT V3 measures internal conductivity which is the best way to measure a battery's health and life expectancy. Designed for 12VDC batteries only. The conductivity value, expressed in Mhos (the inverse of Ohms or resistance), is easily compared to benchmark readings from the included Mhos Chart. The chart then categorizes the battery condition as “Best, Good, Weak, or Bad”. Every battery type has a characteristic Mhos value when it is brand new and fully charged. 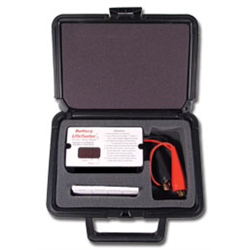 The LifeTester is powered by the battery under test and automatically warns when the battery voltage is too low for testing. Self-adhesive test data labels are included which can be placed on each new battery to record battery measurements for future tests.